This amazing experience is for the complete novice to have a go at being a Radio Presenter. 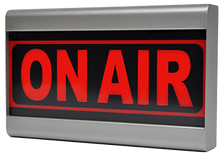 A safe environment where no previous experience is necessary for you to produce, record and take home with you your very own radio show. You have the option to provide your own music on the day, or use the extensive studio library. You may also wish to bring a friend or partner to keep you company and watch you enjoy your time in the studio. ​For those looking to enter into the world of Radio Presenting as a career. We can consult and produce a demo to be used as a showcase when approaching stations. With so many variables you should contact the studio to discuss the options available to you. With over 30 years in the industry you know you will be in experienced hands. The studio is part of an International radio station broadcasting 24 hours a day to 196 countries across the world. Our award winning in-house presenter & trainer is qualified by CIPD (Chartered Institute of Personnel Development) so you know that you will receive the highest quality of training. A relaxed and enjoyable experience is guaranteed as we take you up the experience ladder.